Peasant costumes from Archangelsk, Novgorod, Russia. 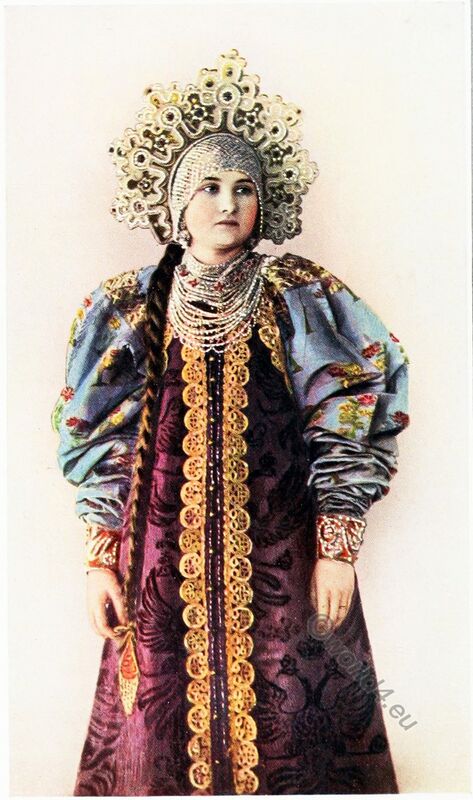 Peasant costume from Arkhangelsk Oblast, Russia 1912. This entry was posted in 1912, Russia, Siberian and tagged Provincial Russia, Russian national costumes, Traditional Russia clothing on 4/17/18 by world4. Peasant girl of the village of Kieg island, Arkhangelsk. Peasant girl of the village of Kieg island. Russian peasant girl of the village of Kieg island, Arkhangelsk. 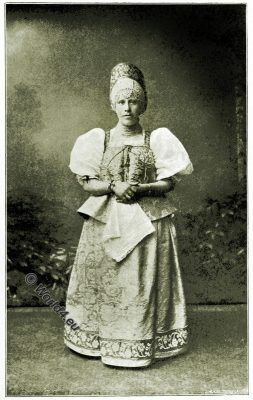 This entry was posted in 1899, 19th Century, Russia and tagged Russian national costumes on 9/15/17 by world4. 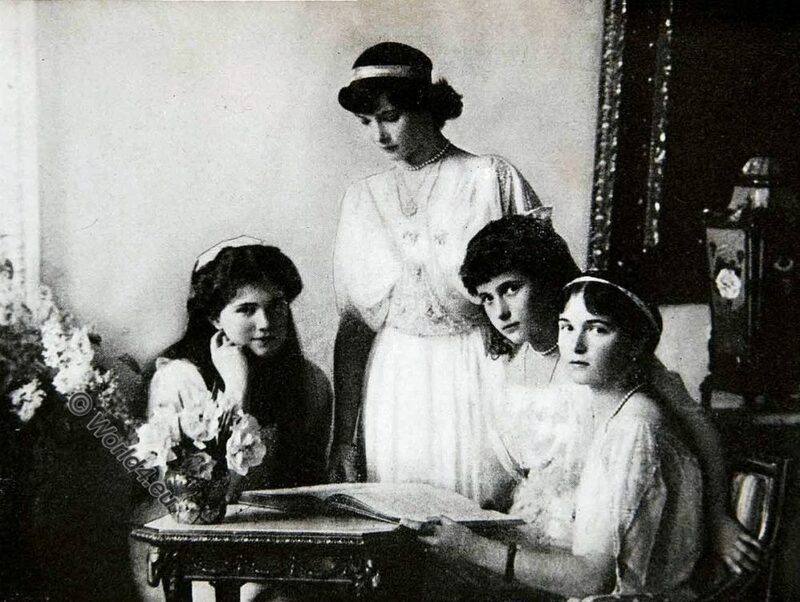 The four Grand Duchesses of the House of Romanov. The four Grand Duchesses Maria, Tatjana, Anastasia, Olga. The four Grand Duchesses, photographed about 1914. This entry was posted in 1914, 20th Century, Nobility, Russia and tagged Russian national costumes on 7/18/17 by world4. 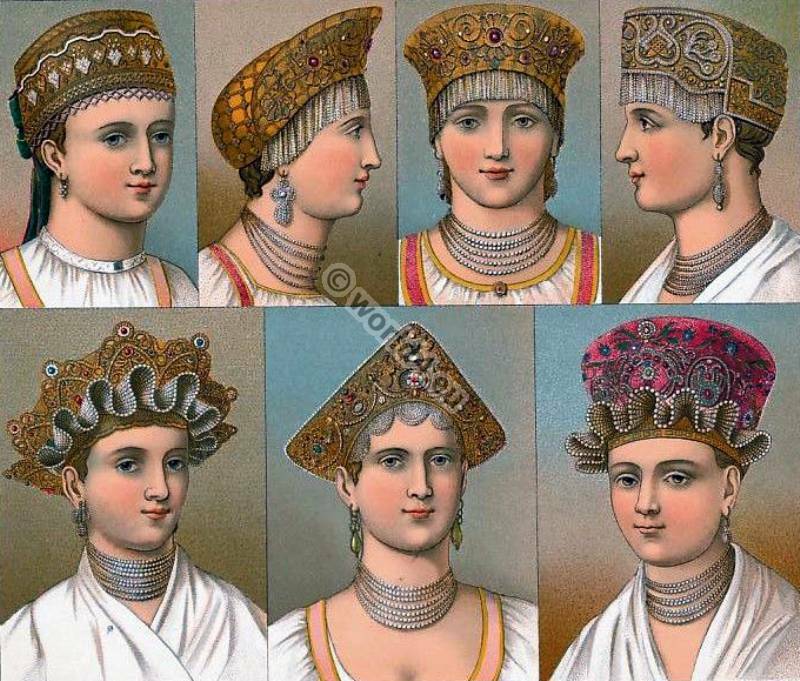 Types and costumes of the Ural government, Russia. Types et costumes du gouvernement d’Orol. Gravure extraite de la Géographie universelle d’Elisée Reclus 1880. 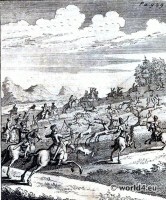 Dessin de Delord d’après une photographie de M. Raoult. 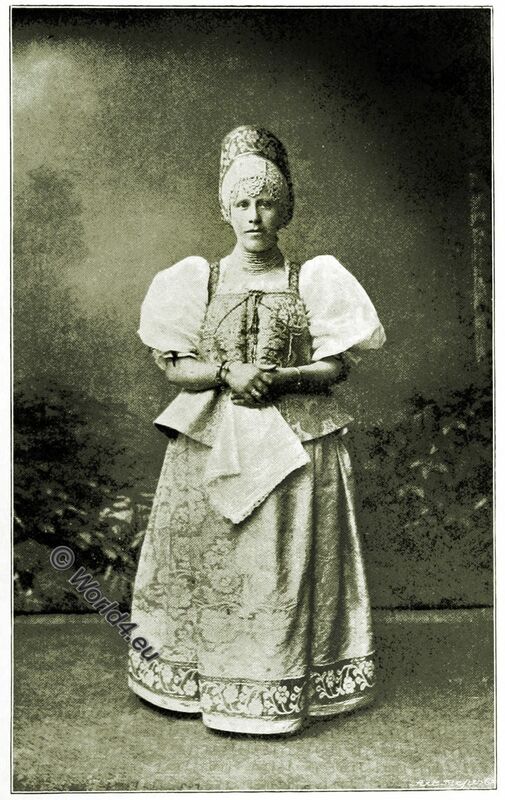 This entry was posted in 1880, 19th Century, Russia and tagged Russian national costumes on 5/29/15 by world4. Historical, traditional Russian costumes 1850s. This entry was posted in 1850, 19th Century, Russia, Traditional and tagged Russian national costumes on 12/31/14 by world4. 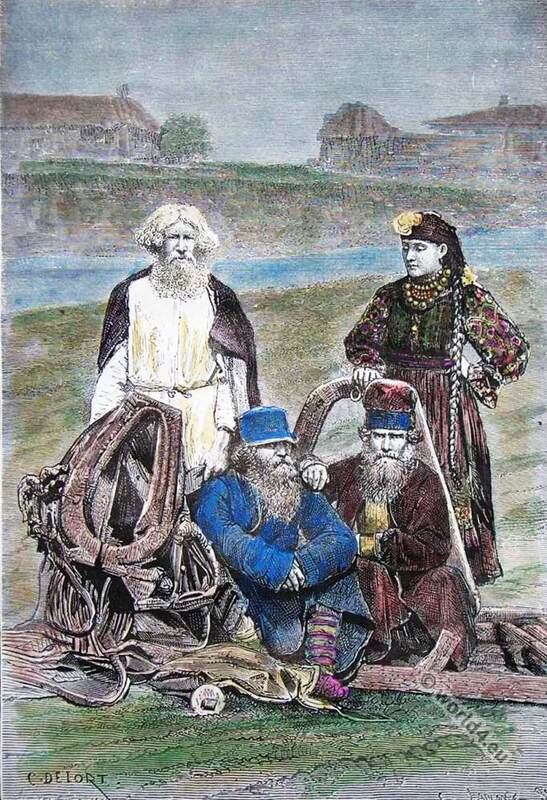 Russians in Siberia. 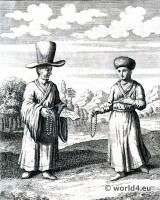 Ethnic groups in 18th century. A Tunguzian taking a Solemn Oath. 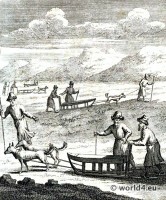 Russians Travelling with Dog Sleads in Siberia. 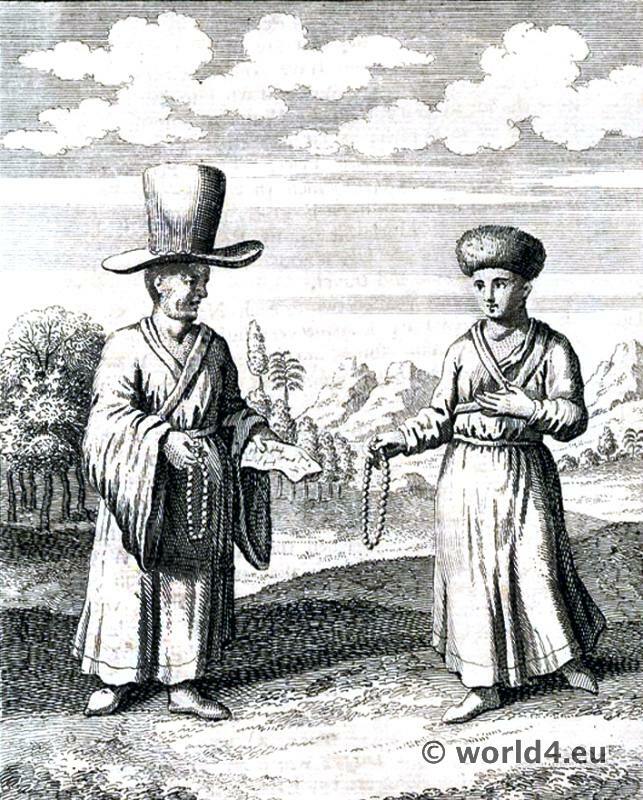 Mongolian Lady and Priest. 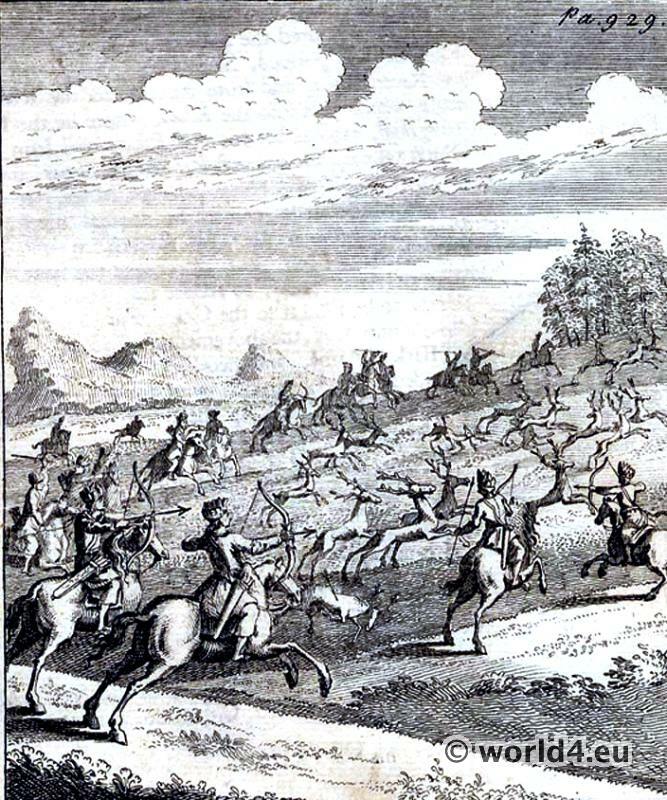 Burattians Hunting. From the book: ‘Navigantium atque Itinerantium Bibliotheca’, or ‘A Complete Collection of Voyages and Travels’ by John Harris’s. 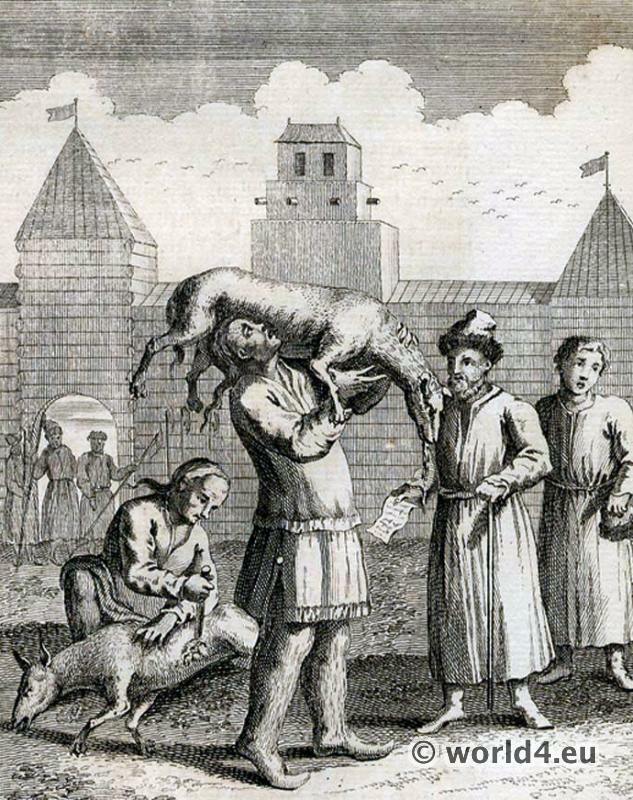 Commissioned under King George II of England, published in London, 1745. This entry was posted in 1745, 18th Century, Ecclesiastical, Mongolia, Russia, Siberian and tagged Russian national costumes, Traditional Mongol costumes, Traditional Siberian dress on 12/28/14 by world4. 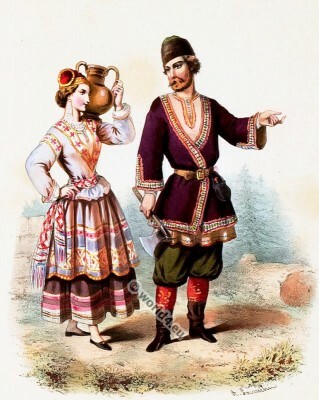 Historical Crimean Tatars costumes 1850s. This entry was posted in 1850, 19th Century, Russia, Tatars and tagged Russian national costumes, Tatar national costumes, Traditional Russia clothing on 12/19/14 by world4. Back Figure of a Yakutan Girl, Sakha traditional folk dress. Back Figure of a Yakutan Girl. Back Figure of a Yakutan Girl, Sakha traditional folk dress 1803. 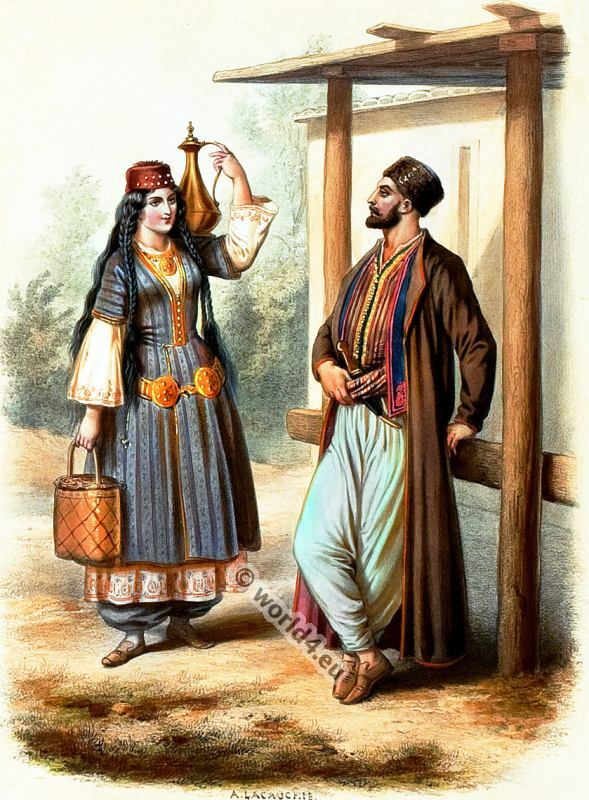 Une Fille Yakoute, par derrière. This entry was posted in 1803, 19th Century, Asia, Russia, Siberian and tagged Edward Harding, Russian national costumes, Traditional Siberian dress on 11/12/14 by world4. Back Figure of a Yakut, Sakha in his Hunting Dress. 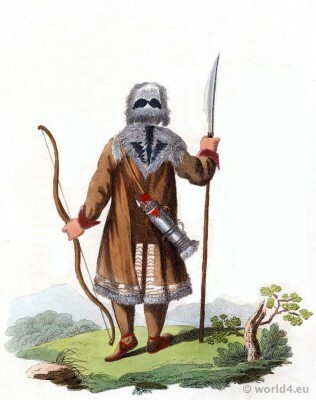 Back Figure of a Yakut in his Hunting Dress. 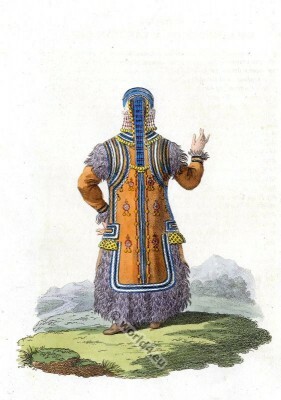 Back Figure of a Yakut, Sakha in his Hunting Dress 1803. 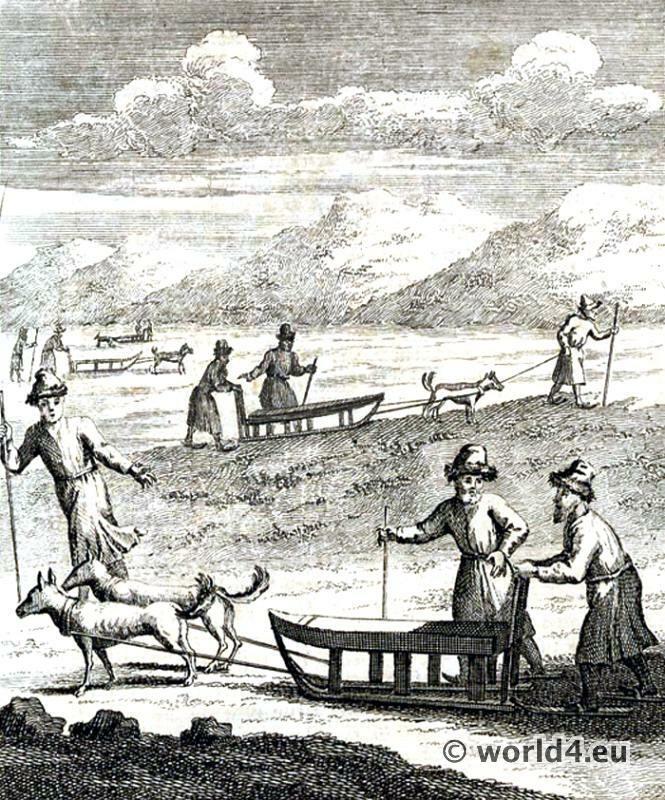 Front of of a Yakut, Sakha in his Hunting Dress. Un Yakout en Habit de Chasse, par derriére. 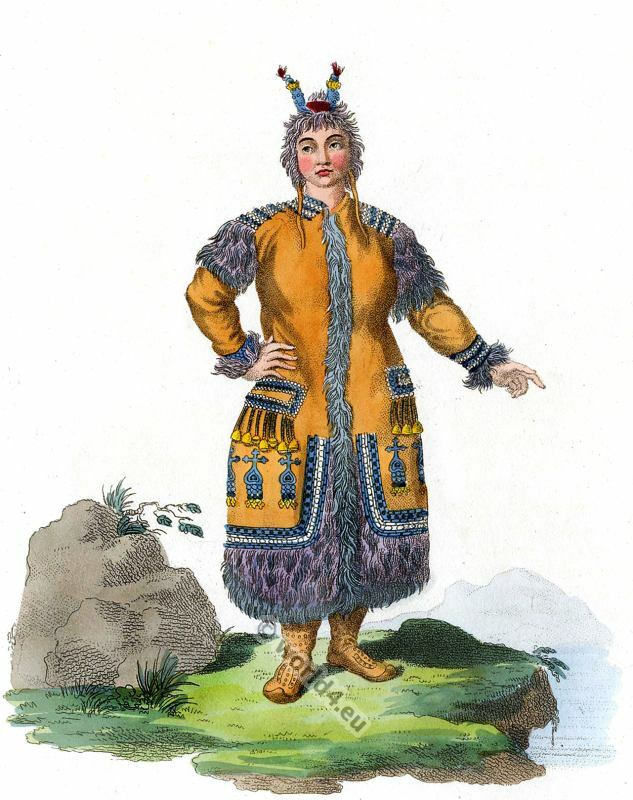 This entry was posted in 1803, 19th Century, Asia, Russia, Siberian, Yakutia and tagged Edward Harding, Russian national costumes, Traditional Siberian dress, Yakutia on 11/12/14 by world4. A Yakutan Girl, Sakha in traditional folk dress 1803.